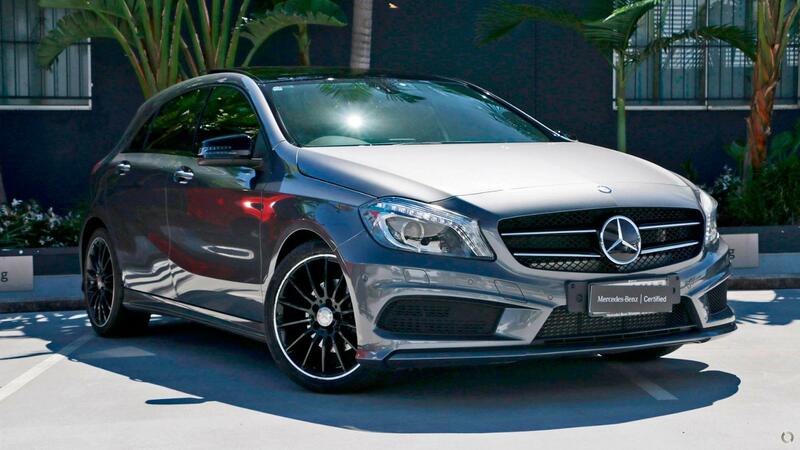 Compact, sporty and zippy, this Certified Mercedes-Benz A200 Hatch is your perfect city companion. Finished in Mountain Grey with Sports Seats finished in combination Black ARTICO / DINAMICA, youll turn heads while enjoying a comprehensive list of standard inclusions. Features such as a Rear-View Camera with front and rear sensors, Bluetooth Streaming with iPod integration along with a comprehensive list of safety equipment, all come standard. This vehicle is also equipped with the AMG Line and Vision Packages, offering advanced Bi-Xenon headlamps, a huge glass panoramic sunroof, 18" AMG alloys with AMG body styling, sports suspension, and privacy glass . This Certified A200 is the perfect fusion of style and practicality. To ensure you are covered by a comprehensive after sales experience we offer a factory backed 2 Year Mercedes-Benz Certified Warranty and 2 Years Roadside Assistance.